Evgenia’s parents were communists, sincerely believing in the “bright Communist future,” and her family had a rule: never to be satisfied with what has been achieved, but to always push forward. Evgenia studied for many years, first at the Moscow Aviation Institute, and then at the Institute of Radiotechnology and Electronics. After graduating, she worked as an engineer on secret state projects. She ended her career with forty years of work experience, and was honored as a veteran of labour. She had always been an atheist and was completely self-reliant. Her own strength and abilities seemed boundless. When she was still young, she had done all she wanted, except having children. But that too, she accomplished. Her son Oleg was born when she was 36. She raised him alone, without a husband, but with her blind love she turned her dear boy into a heartless, selfish man. Now she was retired, but her son was like a stranger to her. He married suddenly and brought his wife, Tatiana, home and things went from bad to worse. About to graduate from college, Oleg unexpectedly stopped his studies, and neither of the young people worked. They just lived in the flat eating and drinking whatever the mother gave them, with barely a word to her. She seemed to live in a silent sepulcher, but no, not even that: how could one call it silent with music thundering from their room from morning until night. Once, when her son was away, she argued with his wife, “I won’t have you here, I’ll drive you out! You are idle yourself and you allow him to sponge on his mother who is a pensioner. He doesn’t even study.” Tatiana replied rudely: “I’m not living with you, but with my husband. It was you who brought him up like this.” They hurled abuse and curses at each other, and that night her son said, “If you scold Tanya again, know that you no longer have a son.” Evgenia was bitter. 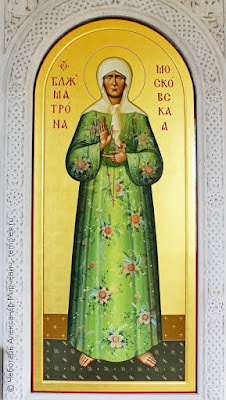 A friend suggested that she visit Blessed Matrona’s grave. For a very long time she didn’t go, but finally, in desperation, she set out. It took half a day to get there: at first she was on the wrong tram, and when she found the right one, it broke down. At the cemetery, people showed her the path to Matrona, but she followed it to the end without finding the grave. 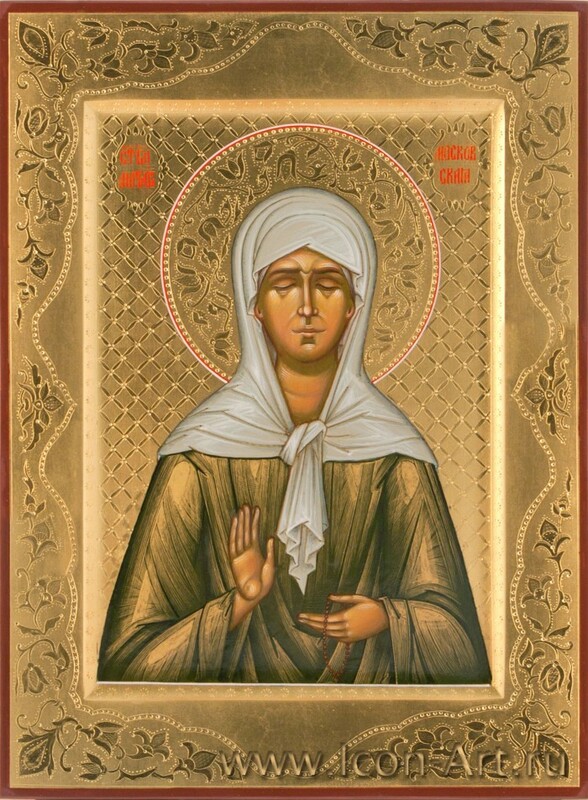 A second path led to another dead end, and she wondered if Blessed Matrona wasn’t allowing her to come to her grave: she knew she wasn’t properly dressed – she was wearing pants, lipstick, her fingernails were brightly painted, and she wasn’t wearing a cross. But when she finally approached the grave, she felt enfolded in an otherworldly warmth. She was drawn to the grave as if by a magnet. 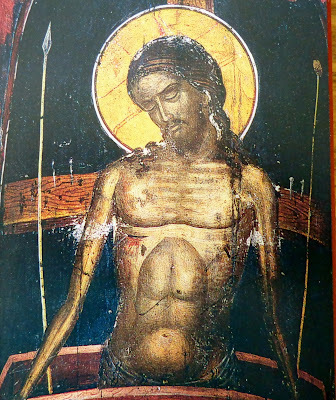 There was a lump in her throat; tears stood in her eyes… And then, as if she knew all about her, the woman who cared for the grave gave her a little cross saying: “Wear it. Never take it off.” Evgenia went home as if on wings. Oleg found a job and Tanya gave birth to a healthy boy. The young family went to live with Tanya’s relatives, but Oleg called his mother each evening after work to ask how she was and if she needed anything. Every Sunday they gathered at Evgenia’s flat for dinner. And so life went on. Only one thing was lacking: Oleg wanted to enter the university for post-graduate training, but after three years of being out of school, he was no longer able to pass the highly competitive entrance exams. 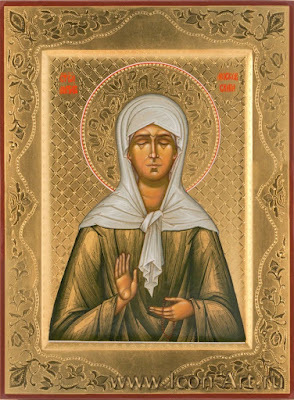 Again Evgenia went to Blessed Matrona begging her to pray that God would help. 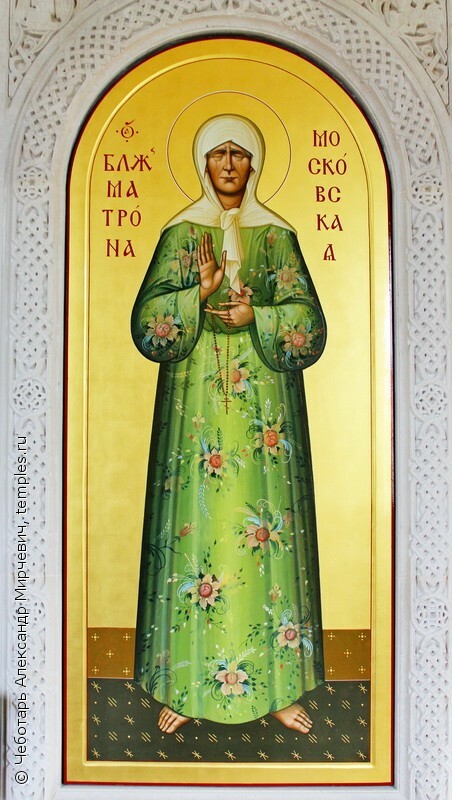 Oleg passed the exams and entered the university, as Evgenia believes, through the prayers of Blessed Matrona. 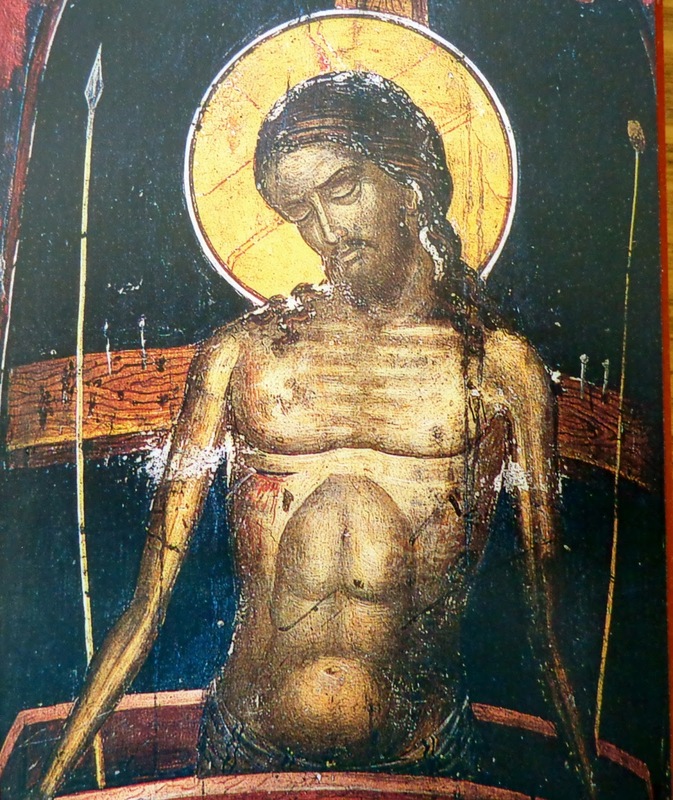 Christ is risen from the dead, by death, trampling down upon death, and to those in the tombs, He has granted life! 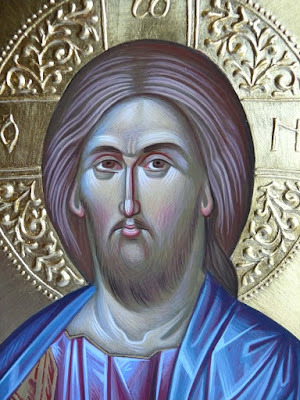 St. Gregory the Theologian: "Let us become like Christ..."
Christ is risen from the dead, by death, trampling down upon death, and to those in the tombs, bestowing life! Elder Symeon Kragiopoulos: "But, what is God’s will?" What don’t you know? You don’t know, for example, that you should be praying a bit more than you are now? Does somebody really need to tell you this? You don’t know that the little prayer you do should be done with your whole heart? You don’t know that you shouldn’t talk back to someone, shouldn’t talk to him in a way that makes him distressed? You don’t know that you should help him? You don’t know that you should forgive him? That you should tolerate him? Should love him? And should pray for him? You don’t know that you must be patient? And that you shouldn’t get angry?